Nestled in the cool hills of upper St. Andrew and amidst beautiful trees, ferns, ground orchids, delicate wildflowers and a profusion of ginger lilies, is the Newcastle Training Depot founded in 1841 by Major General Sir William Maynard Gomm (later Field Marshall). Gomm, a veteran of the wars against revolutionary France and lieutenant governor of Jamaica from 1840 to 1841, relentlessly badgered the War Office in London to establish a mountain station for British soldiers in Jamaica soon after taking up his post. The idea of the hill station was first raised by Gomm in a letter dated April 7, 1840 to Governor Sir Charles Metcalfe. Gomm pointed out that while Up Park Camp was an ideal location for a barracks, it was subject to the ravages of yellow fever. 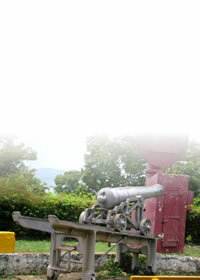 In Jamaica the British garrison was stationed on the plain at Up Park Camp, Stony Hill, Fort Augusta and Port Royal. Here, on the average, 1 soldier died every 2½ days. According to Russell, the year 1838 was considered a ‘good’ year: only 91 men died. In 1839, 110 men perished and in the following year 121. Initially, the British government was conservative in approving a hill station for the troops in Jamaica. They were concerned about the expense of the venture. In May 1841, London finally sanctioned Gomm’s efforts to build what is thought to be the first permanent mountain station in the British West Indies at Newcastle. The site selected was a coffee plantation protruding from the southern face of the grand ridge of the Blue Mountains. The British government paid £4,230 for the Newcastle site. Death was not entirely averted at Newcastle. Soldiers died there, but nothing like the devastating effects of the yellow fever epidemics that occurred on the plain. In 1842, very soon after Newcastle was established, only 24 out of 197 troops there died. Five years later, 7 men died from a strength of 583; and in 1858, 2 men perished out of 476. By 1845, the Newcastle station was fully operational. The various buildings of the camp sat on a series of step-like terraces cut into the spine of the ridge between 3,500 to 4,500 feet above sea level. The buildings were constructed of pitch-pine. 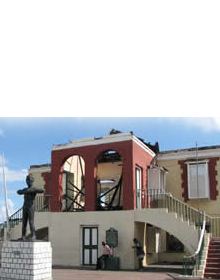 In August 1880, a hurricane struck the island and a number of buildings at Newcastle were destroyed. At the time of the great earthquake of 1907, few soldiers were stationed at Newcastle. Reports are that the whole ground at Newcastle rumbled and shook for about 30 seconds. Nobody was hurt, but several buildings were damaged. The buildings were later restored. At the outbreak of World War II (1939-1945), life at Newcastle changed a little. The British regiment was replaced by Canadian regiments which remained at Newcastle for the duration of the war. With hostilities over in 1945, the Canadians left and once again a British battalion was stationed there. In 1958, the West Indies Federation was founded and the infantry regiments of the various Caribbean islands were disbanded and reorganized into the West India Regiment. Newcastle became a training depot, training recruits from all over the West Indies as part of the newly formed West Indies Federation. In 1962 when Federation was disbanded, the West India Regiment was also disbanded. Jamaica simultaneously sought her independence, which was achieved on August 6, 1962. 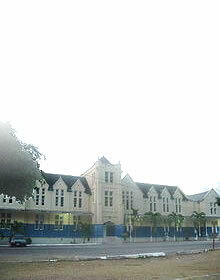 With independence, Newcastle was given to the Jamaican government as part of a general settlement of all military lands in Jamaica. 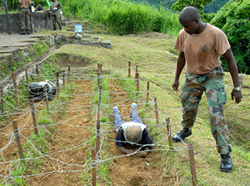 Since then the Jamaica Defence Force (JDF) has operated Newcastle and it is presently used as the JDF Training Depot to train recruits and to conduct cadres and other refresher courses.